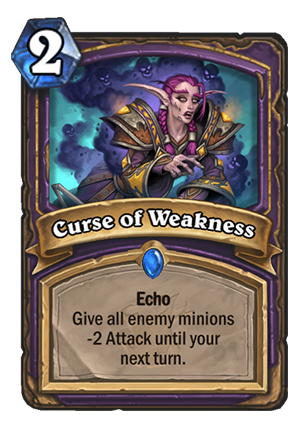 Curse of Weakness is a 2 Mana Cost Rare Warlock Spell card from the The Witchwood set! Echo Give all enemy minions -2 Attack until your next turn. Warlocks refer to this as a "balance change." This card looks super interesting. It’s a bit like Pint-Size Potion, but the effect lasts THROUGH your opponent’s turn. Which means that not only you can get some good trades, but you might also make your opponent’s turn much weaker. It works best against wide boards with relatively low attack minions, where even a single cast can make their board useless for your next turn. You can combo it with Doomsayer to force them to Silence / remove it with spell, or just let it blow off. The fact that it’s Echo means that later in the game you can cast it 2 or 3 times to basically neutralize almost any mid/late game board. It seems like a really good Control Warlock tool. It’s a solid stall tool, it basically “heals” you for the amount of damage you reduce as well as improving your trades. 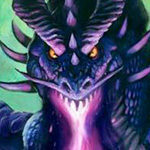 Stalling even a single turn in a slow Warlock deck can be really powerful – e.g. you can set up a Possessed Lackey + Dark Pact to pull out a Voidlord, or you can stall a turn to try to draw one of your AoEs (Defile, Hellfire, Twisting Nether). It can also stall on Turn 9 so you can play Bloodreaver Gul'dan on Turn 10. Control or Cube Warlocks don’t lose much, but Mistress of Mixtures will be gone, and the “healing” part of this card can actually fit quite nicely into that gap. I don’t see it. You’re better off playing your cheap board clears over this. Sure in a vacuum it’s alright, but I don’t think there’s any room to play it. You can only play 30 cards in a deck – and this one definitely won’t make the cut. Am I the only one who thinks combining this with corruption would be completely sick? When you got to make sure warlocks still op after an expansion goes to wild. Maybe in a Genn Warlock deck, but I doubt that deck will be better than Cubelock, and Cubelock doesn’t really need to play it. This might be a decent card after the Year of the Mammoth rotates to Wild, but for now, I think it’s really overrated. So it can be used as AoE freeze effect taking 2,4 or 6 attack from opponent minions for next turn. Also it can be used to determine trades for your minions…. 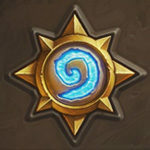 I think Blizzard is trying to push only strong weapon classes such as Hunter, Rogue, Rebuke Paladin and Warrior to be viable at aggro with this. 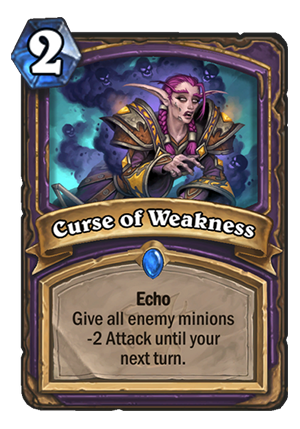 This hardcounters Warlock and Druid aggro decks while making Minion mage suddenly seem much worse. Shaman will still force a board clear because bloodlust. 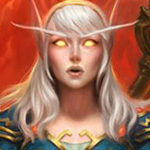 Warlock: Preist…! It’s MY turn to use Pint-Sized Potion. You can litterally play it on any turn at any time, it would still be effective and give you tempo. Mossy horror combo just makes it silly. Warlock A.K.A Spoiled Brat n°2 gets another unique, all-purpose, adaptable tool to break the whole meta. AGAIN. When is it going to stop ?? even without the Echo keyword this would be a good card.. While this effect is powerful and something that hasn’t extended to your opponent’s turn, I don’t see thing replacing Defile or Hellfire (Cards that actually deals with the board rather than delaying it) nor would Cube Warlock, a deck based around getting 18 or often 36 health worth of taunts on the board by turn 6, really need this that much. By the time it could save you for a turn, you probably could’ve already set up enough defenses to get to Bloodreaver. Echoing this card can result in some interesting interactions with dumb cards like Scorp-o-Matic and Mossy Horror, but the former wouldn’t be worth that much and the latter would be a 2 card 8 or 10 mana combo that only kills minions with at most 6 attack. 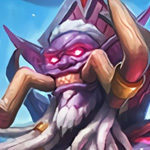 While Twisting Nether doesn’t come with a body, it does definitely kill everything, and if you want a super effective board wipe that will end with a body on the board, I’d rather play Lord Godfrey. I obviously could be wrong, but when Control Priest (Not Big Priest) doesn’t really play the Pint-sized Potion-Shadow Word: Horror combo to deal with aggro, I don’t think Cube Warlocks will make room for a more expensive and generally less powerful version of the combo. Maybe, but unless it’s on turn four or five and you’re all ready to make that Possessed Lack-Dark Pact play, it’s hardly a guarantee and normally playing Hellfire on that turn against aggro will usually kill their board. Plus the other cards you’ve mentioned are either one part of a gameplan about slowing your opponent down with multiple frost noza-esque effects often in a row and the other often lasted multiple turns against decks that go wide. 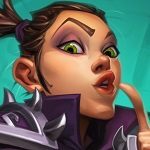 I feel Cubelock does have better and enough defensive options at this moment. Actually, the vast majority of control priest decks do, in fact, run pint + horror. Although I completely agree that this card is nowhere near as powerful as the ratings would suggest. Oh. Yeah your right. I guess when most of the decks in a class all run the same package that takes up like half the deck, those archetypes tend to bleed into each other. but void ripper is a demon, it breaks the consistency of Lacky. This is OP. Not just does it combine so well with Mossy Horror. It’s yet ANOTHER nail in the coffin for Aggro vs Warlock. Like, really? Cubelock and Control didn’t have enough high winrate vs Aggro that Blizzard had to give them this and Lord Godfrey? Where have we ended? I love Warlock as a class but their tools are disgusting right now. 5/5 stars for the power level of this, not because I like the card – it shouldn’t be there. With only 2 mana you can make most aggro decks useless. With 4 mana you can make aggro decks useless and take significantly less damage.. 6 mana is enough to make pretty much any field useless ._. I don’t think it will be any fun to play against Warlock at this point. He already has 2 mana board clear why is this card not 3 mana??? 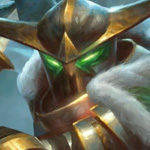 In fact, why is defile not 3 mana? Interesting one. Its kinda like the guy that gives you 2 armor per enemy minion but instead of the 2/2 you maybe get some value trades. Its situational like most shaman spells but i can totally see it being good in some aggresive shaman so that you dont lose your board when trading… definetly not as good as defile but thats really not a fair comparison. I’d say 3/5. Seeing as it’s a Warlock spell I don’t see it being in any Shaman decks but thats just my opinion.